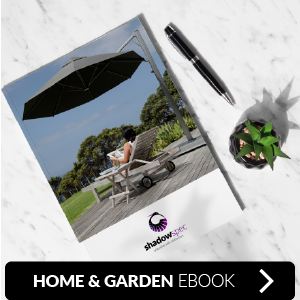 An outdoor shade umbrella might provide a super stylish and impressive addition to your patio, garden or outdoor entertainment area, but how protective are they against the sun's harmful rays? Well, it all depends on the type of umbrella you buy and install. The first feature that matters is the umbrella canopy fabric. With low-quality fabric, you may find the greatly reduced product lifespan to be the most frustrating thing, but there would also be very little in the way of guarantees of sun protection. When designing Shadowspec Umbrellas, we use only premium quality brands of umbrella canopy fabric such as Sunbrella & Dickson. Premium fabric brands like Sunbrella and Dickson manufacture premium fabrics with Sun Protection Factors of 50 + and upwards. With Ultra Violet (UV) radiation, while it does depend on the model chosen, most of our umbrellas filter out 97-100% of UV radiation. 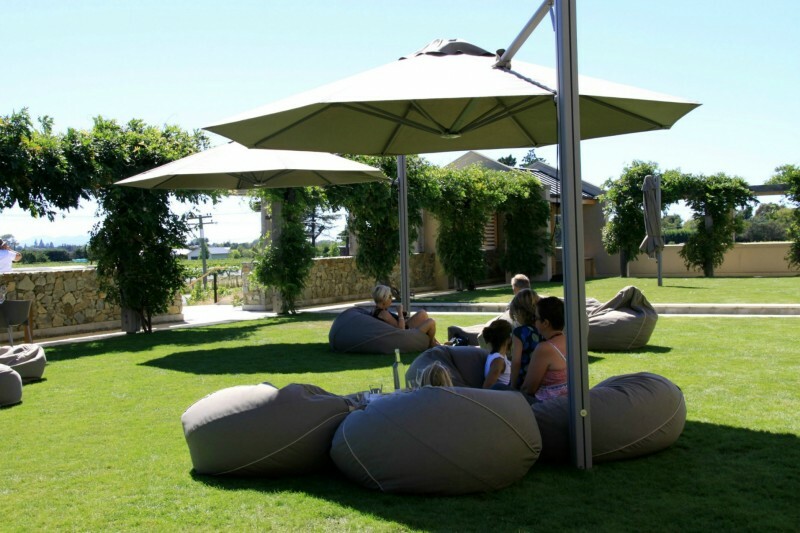 To find out more about this read our article here: What you should know about Sunbrella fabric. This means that your family and friends can seek shade with confidence, knowing that a Shadowspec umbrella is providing full protection from the sun's radiation. Your protection from the sun does not end with canopy fabric though. As the sun moves through the sky, the area shaded by your umbrella of course changes at different times of the day. Choosing a quality outdoor umbrella option that can either tilt or rotate ensures that you are protected from the sun, no matter the angle of the rays. 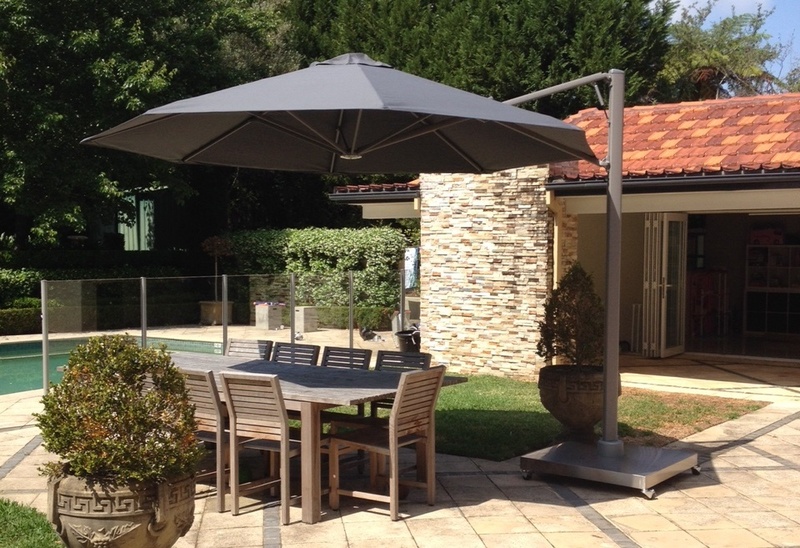 Shadowspec have a range of umbrellas with tilt or rotating features, most notably the SU7 Cantilever Umbrella which rotates 360 degrees around its mounting pole (which is offset to the side). This ensures a wide area of potential coverage for the SU7 Rotating Cantilever Umbrella. 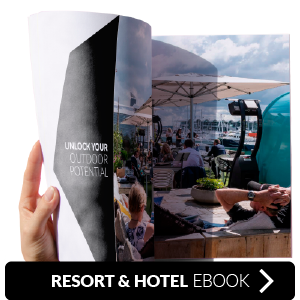 The gas-assisted umbrella deployment system and tough aluminium umbrella hub which has been designed and engineered to be easy-to-use, each help ensure that deployment and movement of the umbrella canopy is simple and smooth. 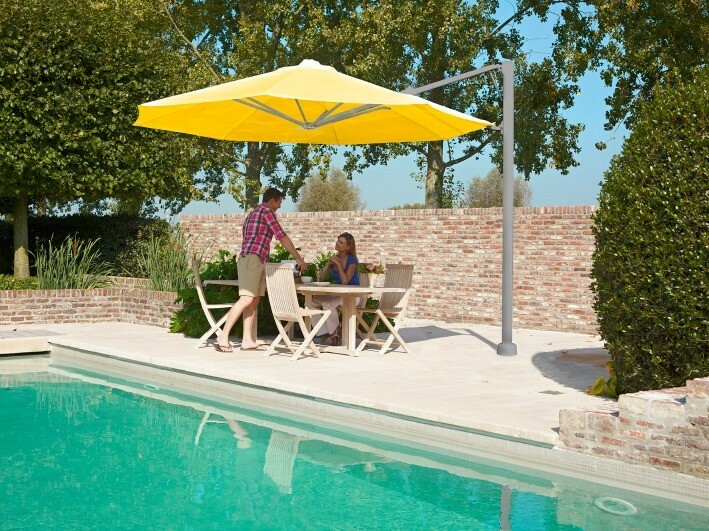 Check out the SU7 Cantilever Umbrella today, or browse the full range of Shadowspec Umbrellas to find your perfect option, safe in the knowledge that the whole range provides excellent sun protection.